18ct Gold, Pear Shaped Diamond, set in 3 claws, surrounded by a brilliant cut diamond halo, on an upswept band, with round diamonds bead set on each shoulder and a single bezel set diamond under the setting. This ring can be custom made starting with a 0.50ct centre diamond. 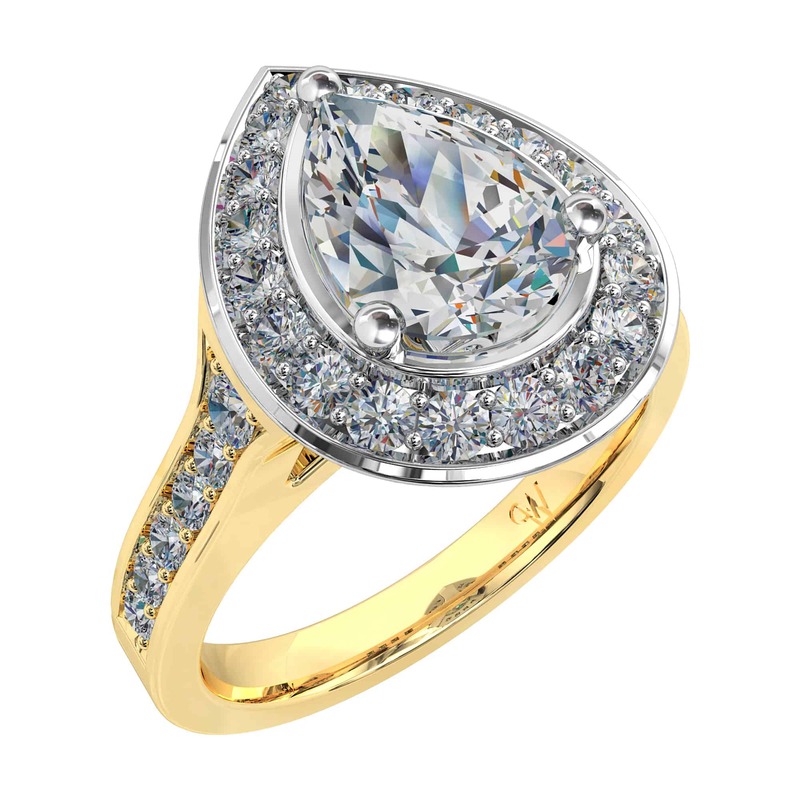 Ring shown features a 1.20ct centre diamond.